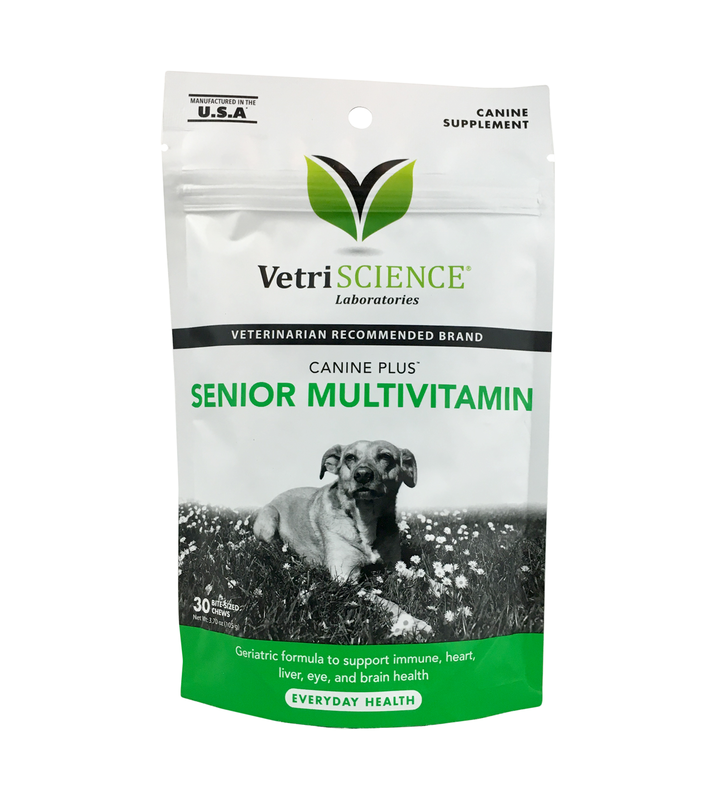 Canine Plus™ Senior is recommended for geratric dogs to support heart, liver, brain and eye function as well as physical and mental well-being. Feeding Directions: Under 25 lbs: 1/2 chew daily. 25 - 75 lbs: 1 chew daily. Over 75 lbs: 2 chews daily.